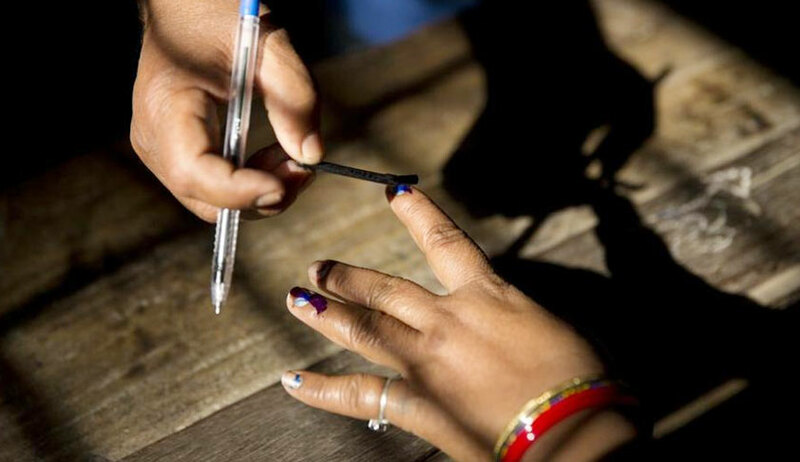 The Law Commission of India has submitted its draft report favouring holding of simultaneous elections to the Lok Sabha and the State Legislative Assemblies. "Time has come for India to revert to simultaneous elections in the greater national interest", the Commission observed in the draft report. According to the Commission, enabling a voter to cast his or her vote for electing members to the Central and state governments on the same day would "save public money, help reducing the burden on administrative set-up and security forces and will ensure better implementation of government policies on time and the administrative machinery of the country will be continuously engaged in developmental activities rather than in electioneering". It also noticed that holding simultaneous elections is not possible within the existing framework of the Constitution and suggested ‘inevitable constitutional amendments’. Though the Commission endorsed the idea in principle, it acknowledged that further discussions in the matter was required to evolve a "workable formula". "In view of the complexity of the issues involved, it is desirable to have further discussions and examination on the matter, involving all the stakeholders, once again, before making final recommendations to the Government", it stated while submitting the draft recommendation in public domain. As a first option, elections to 12 State Assemblies and one Union Territory (with legislature), could be synchronised with the elections to the House of the People in the year 2019. Out of these, elections to the Legislative Assemblies of five States, viz., Andhra Pradesh, Arunachal Pradesh, Odisha, Sikkim and Telangana are due with the elections to the House of the People, and, therefore, stand synchronised. If there is political will, and consensus is arrived at, elections to four State Assemblies, viz., Haryana, Jharkhand, Maharashtra and NCT of Delhi (Union Territory with Legislature), can also be held along with the House of the People and the five States mentioned in (i) above, in 2019, subject their voluntarily agreeing to take recourse to Article 172(1) or by the operation of law. In case of the other four States viz., Chhattisgarh, Madhya Pradesh, Mizoram and Rajasthan, where 120 elections are due in early January of 2019 (Chhattisgarh, Madhya Pradesh and Rajasthan) and end of 2018 (Mizoram), extension of up to six months is required to attain synchronisation with the elections to the House of the People in 2019, which will entail amendment to Article 172 of the Constitution. In case of the remaining 16 States and Puducherry (Union Territory with Legislature), holding simultaneous elections in 2019 will be impracticable. Therefore, the elections to these State Legislative Assemblies can be conducted towards the end of 2021, which will be approximately midway of the term of the House of the People, assuming that the term of the 17th Lok Sabha begins in mid of 2019. In such a scenario, the maximum period by which any State Assembly is to be extended will be by 13 months (in the case of Bihar) and the maximum period of curtailment is seventeen months (in the case of Karnataka). The term of the State Legislative Assemblies so constituted as a result of the elections in 2021 shall be only for 30 months or till June 2024, whichever is earlier. Thereafter, elections to the House of the People and all the State Legislative Assemblies and Union Territories (with legislatures) can be held together from 2024, completely synchronising the elections. As a second option, once the elections to 12 State Legislative Assemblies and one Union Territory (with Legislature) are synchronised along with the elections to the House of the People in 2019 and the remaining 16 State Legislative Assemblies and one Union Territory (with Legislature) by the end of 2021, the elections will stand synchronised in such a manner that they are held only twice in five years, repeating the cycle of the elections to the House of the People and 13 States (including one Union Territory with Legislature) in mid-2024 and elections to 17 States (including one Union Territory with Legislature) by the end of 2026. This will result in elections only twice in a period of five years. Synchronisation of elections as given in Option-I above will, therefore, require suitable amendment to Article 172 of the Constitution or insertion of a new clause to that Article, for (i) extension/curtailment of the terms of Legislative Assemblies of certain States; and (ii) limiting the terms of the State Legislative Assemblies constituted as a result of the elections to be held in end of 2021, so as to be synchronised with the elections to the House of People to be held in mid-2024. For Option- II, Amendment only as mentioned at (i) above will be required and the cycle of simultaneous election will be such that elections are held twice in a period of five years, i.e., mid-2019, end-2021, mid2024, end-2026, etc. Also, if felt necessary, provisos to sections 14 and 15 of the Representation of the People Act, 1951, which deal with the notification for elections to the House of the People and the State Legislative Assemblies, respectively, may also be amended, along with a sunset clause. As a third option, if it is not possible for some reasons to conduct simultaneous elections as discussed in the above two options, then, it is recommended that all elections falling due in one calendar year be conducted together during such part of the year, which is conducive to all the State Legislatures involved and/or the House of the People (if sooner dissolved). Even for achieving this option, the provisions contained in Articles 85(1) and 174(1) of the Constitution and the provisos to sections 14 and 15 of the Representation of Peoples Act 1951 may be amended suitably. The commission also said that even though the proposed constitutional amendments do not fall within the purview of Proviso to clause (2) of Article 368, the government may seek ratification by not less than one-half of the states as an abundant caution. In order to ensure stability of the government(s) and its further sustenance, the Commission recommends that the concept of “constructive vote of no-confidence‟ may be adopted. The option of limiting the number of such motions during the term of the given House/Assembly may also be considered. Rule 198 of the Rules of Procedure and Conduct of Business in Lok Sabha may suitably be amended. Amendments on similar line should be made in the Rules of Procedure of various State Legislative Assemblies. In the event of a Hung House/Assembly, all efforts must be made by the President/Governor, as the case may be, to install a Government that will enjoy the support of the House/Assembly, giving an opportunity to the largest party along with their pre-poll or post-poll alliance(s). Still, if no government could be formed, the President/Governor may call for an all-party meet to tide over the stalemate. If the above two options fail, mid-term polls become inevitable. However, the duration of the House/Assembly so constituted shall be only for the remainder of the term, as suggested later in this report. In order to address the issues arising out of budgetary defeat leading to the fall of the incumbent government, by loss of support of the House at Centre/State or where alliance partner/s withdraw their support on account of the budgetary proposals, the Commission recommends that efforts to build a consensus must be made to avoid mid-term polls. In the event all such efforts fail, midterm polls will ensue. In order to ensure that cycle of simultaneous elections is not disrupted, the Commission recommends that a House constituted upon the dissolution of the House before the expiration of its duration should continue only for the remainder of the term for which the dissolved House would have continued, had it not been so dissolved. This could be achieved by adding a proviso to Articles 83(2) and 172(1) of the Constitution. In order to expedite the adjudication of the issue of disqualifications on the ground of defection under the Tenth Schedule, the Commission recommends that such issues must be decided by the Chairman or the Speaker of a House, as the case may be, as expeditiously as possible, but not later than a period of six months from date of raising of such an issue. For this purpose, the Tenth Schedule may be appropriately amended. Holding of bye-elections at various intervals also causes avoidable expenditure. Therefore, the Commission recommends that all bye-elections falling due in one calendar year be conducted together during such part of the year, which is conducive to all the State Legislatures involved and/or the House of the People. To achieve this, the relevant provisions of the Act, 1951 be amended.